Four lucky ticket holders in Deaf Lottery draws have changed the lives of the Deaf and hard of hearing with their support. But they’ve also changed their own lives after each winning first prize! The stunned woman had just been informed that she was the winner of The Deaf Lottery draw 162, giving her a choice of four first prize options valued at $600,000. The hardest part would be choosing! There are several prizes on offer including a luxury home, cash, gold bullion, marine craft, motor vehicles, motorhomes, caravans, trucks, motorbikes and farm machinery! Retired and hitting the road! The lucky winner of the next Deaf Lottery draw 163 was a retired man from Mackay in North Queensland. He was so excited to be named the winner of the $600,000 first prize that he decided to make a trip to headquarters in Brisbane to meet the team. “Are you serious!” was all he could say after receiving the good news from lottery officials over the phone. 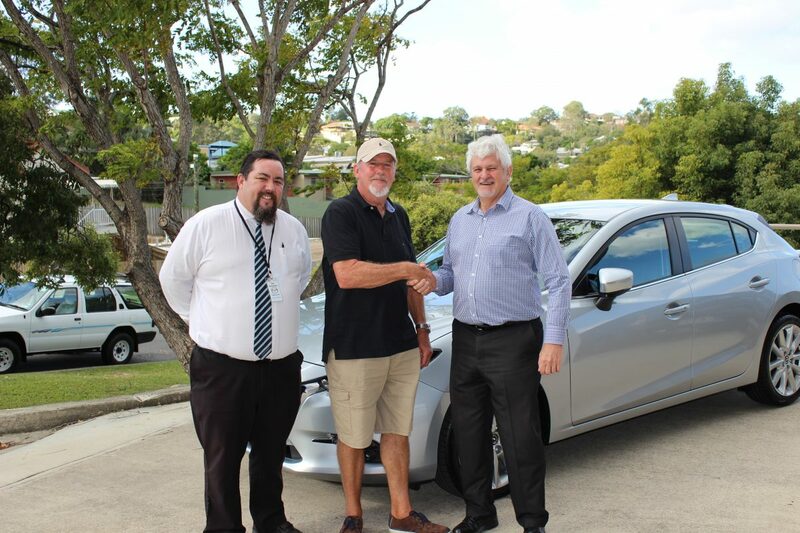 The man made plans to purchase a brand new car on his Brisbane road trip back up the coast. He also planned on visiting children and grandchildren along the way. “I think I will visit my family; they are extremely excited to see me,” he said. Retiring from a long career as a diesel fitter, the winner told lottery officials he was looking forward to a long holiday touring the great Australian outback in a brand new caravan. It took three missed calls before the “speechless” winner of The Deaf Lottery draw 164 finally picked up the phone to hear that he was $635,000 richer. As a first prize winner, he is offered a selection of four first prize options valued at $600,000. But he also won a bonus $35,000 gold bullion after purchasing a ticket book! He told lottery officials that the reason for his Deaf Lottery purchase was that he “really wanted the motorhome. I’ve been dreaming about where I would take it on my great Australian holiday.” The winning man also said he planned to spoil his children and grandchildren along the way. Finally, the winners of The Deaf Lottery draw 165 told lottery officials that their “spur of the moment” ticket purchase while on holiday at the Gold Coast was their best investment ever – after realizing they had won their choice of four $600,000 first prize options! The couple purchased a ticket book meaning they received a bonus prize of $35,000 gold bullion. The lucky couple settled on the Mortgage Buster option. They chose it to give them the maximum amount of gold bullion of all the prize options. Lottery officials were overwhelmed to help the couple live more comfortably and allow them to continue to follow their dreams. You too could become The Deaf Lottery’s next big winner. But you have to get your tickets in the draw first! Check out the latest draw and the four first prize options and purchase your tickets now for your chance to win. Tickets are on sale now from Oz Lotteries. Great to read the winners stories. I notice most winners are Brisbane. Hardly ever see a WA winner. We love getting to hear from our winners, and being able to share their stories. Hopefully in the upcoming draws we will be hearing from our Western Australian customers and share their story soon!